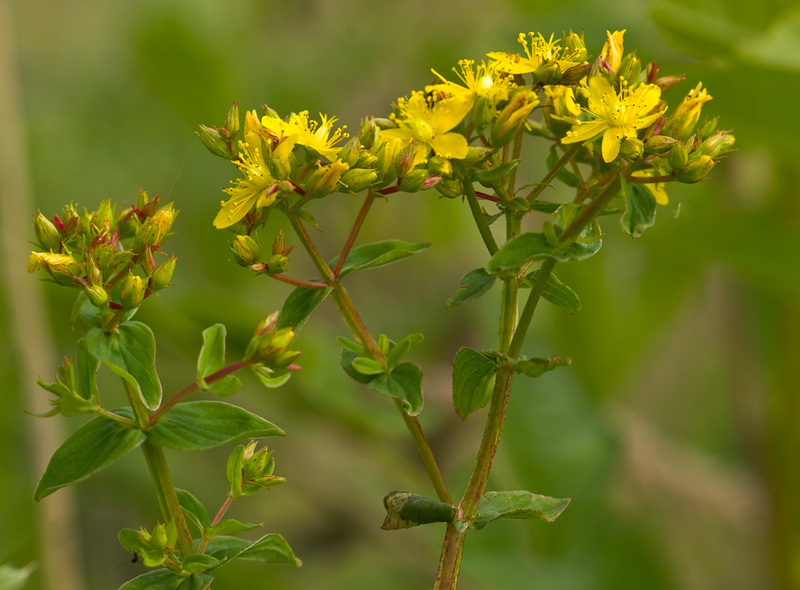 The distinguishing feature of this St John’s-wort is a stout stem with four winged ridges running along its length, hence the common name of square-stalked St John’s-wort, and the more accurate Latin name of Hypericum tetrapterum. Unlike most common St John’s-worts black dots are rare on the leaves and flowers. The pale yellow flowers are out from July to September. 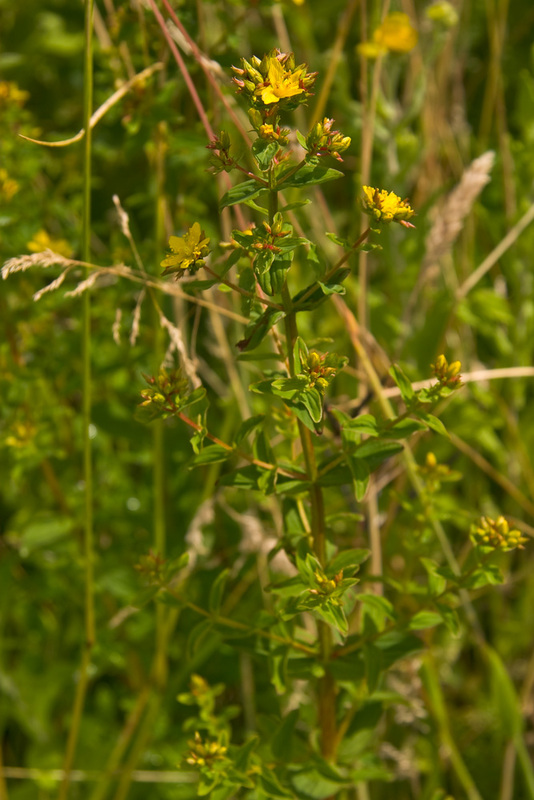 Square-stalked St John's-wort is a medium height, native, grassland perennial of fertile damp or wet soils in habitats including meadows, ditches, marshes and the banks of ponds and rivers. It regenerates by means of seed and short rhizomes. A spring germinating seed best sown in autumn.